The idea for Danny Sorentino's new CD materialized unexpectedly last July. The local songwriter had just played a benefit concert on the gazebo stage in Cotati's La Plaza Park, and as Sorentino stood there with KRSH-FM broadcaster Bill Bowker, he mentioned that his very first show took place on that same little stage, not long after the gazebo was first built. "Suddenly," he says, "I was talking about other places I've played in the area. I started thinking about all the places in Sonoma County I've had experiences at. And I kind of had this epiphany—that I know Sonoma County better than I know any other spot on the planet. So I thought, 'Maybe I'll write some songs about this.'" The next day he wrote a song titled simply "Cotati," with the catchy chorus, "C-O-T-A-T-I, you can let your freak flag fly in Cotati!" "And then," says Sorentino, "I just kept coming up with more songs." 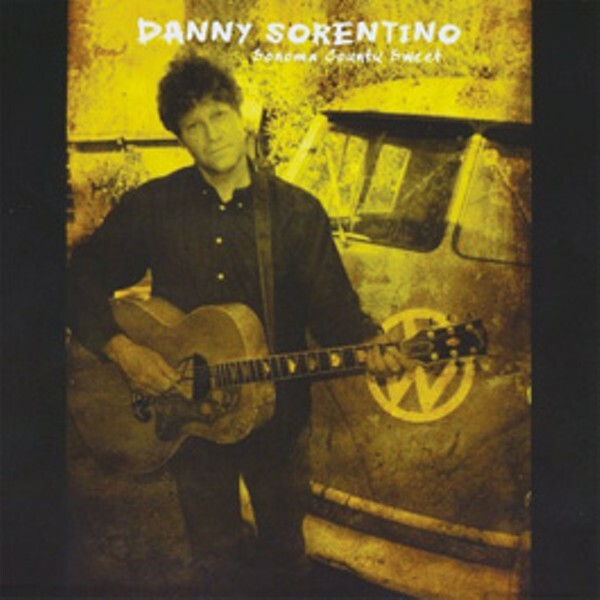 The result is 'Sonoma County Sweet,' the newest pop-rock-folk-country effort by Danny Sorentino, performing without his usual band the Sorentinos. A nostalgic, surprisingly deep-felt recording, SCS contains some of the warmest and most emotional songwriting Sorentino has undertaken since his 1997 album Family. The song titles read like chapters in a guidebook to Sonoma County, where Sorentino has grown up, raised a family and written hundreds of songs: "Salmon Creek," "Liberty Road," "Gravity Hill," "Inn of the Beginning." Running throughout the music is the inescapable sense that Sorentino has made peace with his youthful ambitions of becoming a world-traveling rock star. "Sonoma County Stars" in particular takes a lovingly affectionate look at his own feelings about choosing to stay in Sonoma County all these years. "So high in the sky, looking up and wonderin' why / You did not travel very far / Star light, star bright, there's no place else I'd rather be tonight / Than under these Sonoma County stars." "I was surprised at how emotional I was writing these songs," Sorentino says, looking forward to a show at the Russian River Brewing Co. in Santa Rosa on Dec. 18. "These places I write about, they're all part of my life. Yeah, I always did assume that someday I'd move to Austin or London or somewhere. But now when I do travel and then come home, I remember why I decided to stay here for the last 30 years. Sonoma County really is my favorite place on earth."